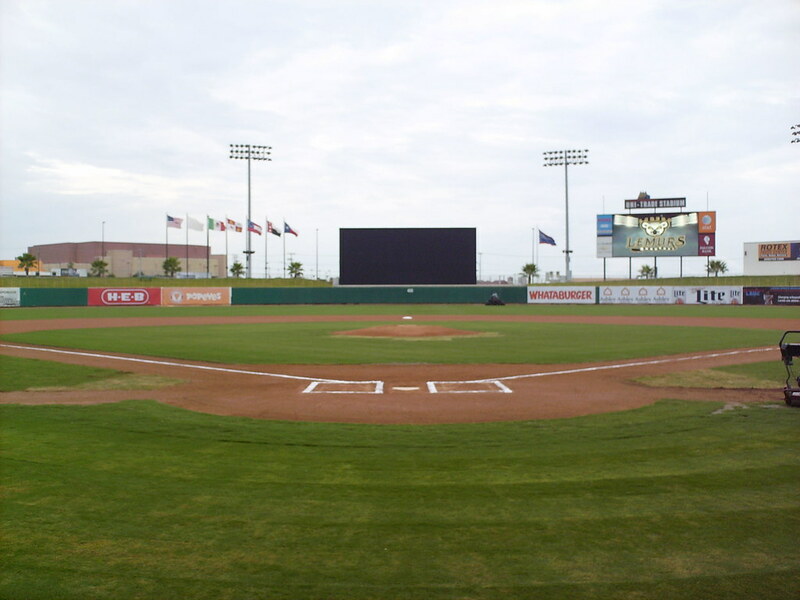 The view from behind home plate at Uni-Trade Stadium. 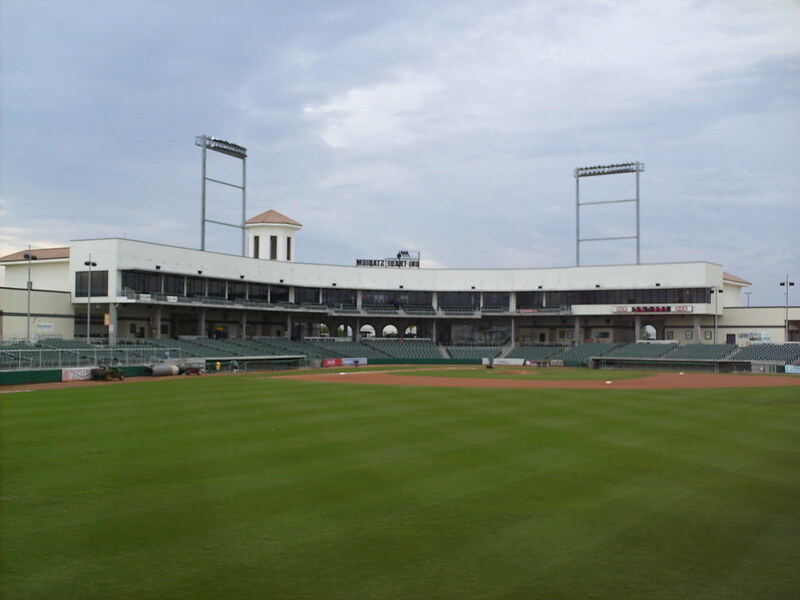 The grandstand at Uni-Trade Stadium, as seen from center field. 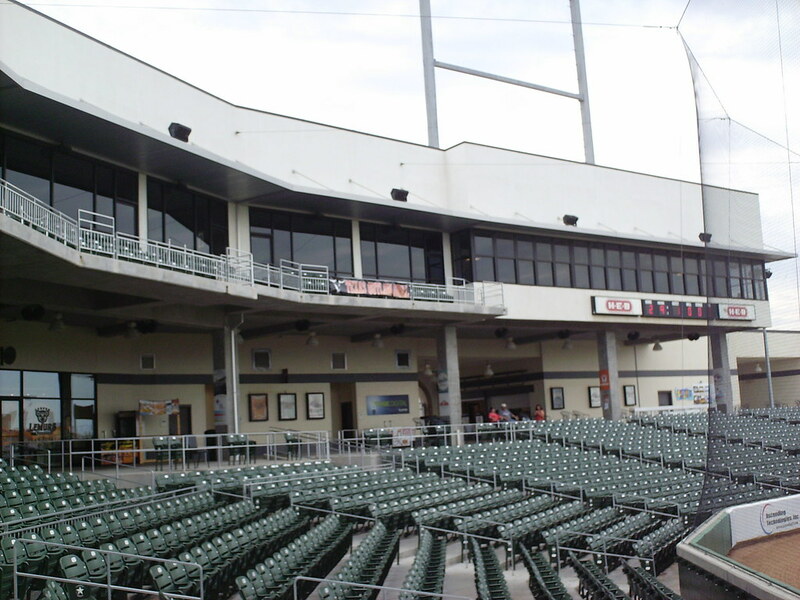 The pressbox sits at the third base end of the upper deck, with luxury suites behind home plate. 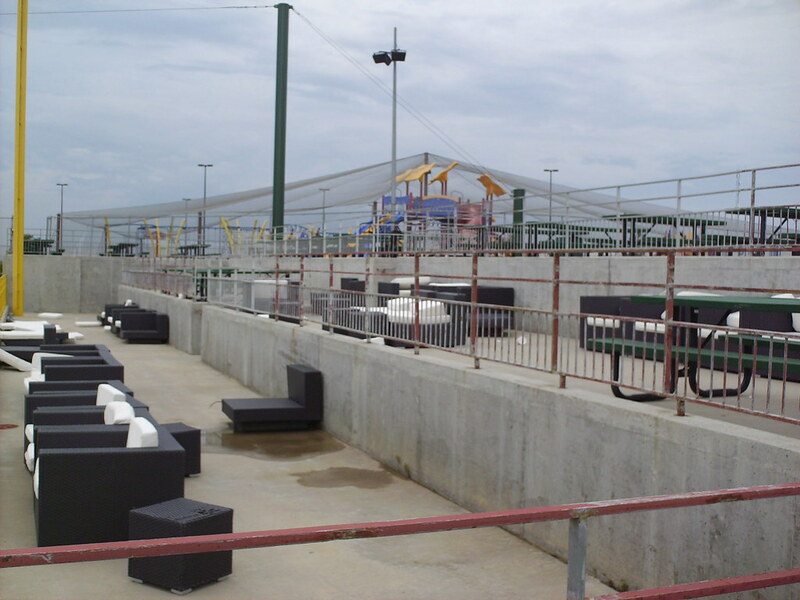 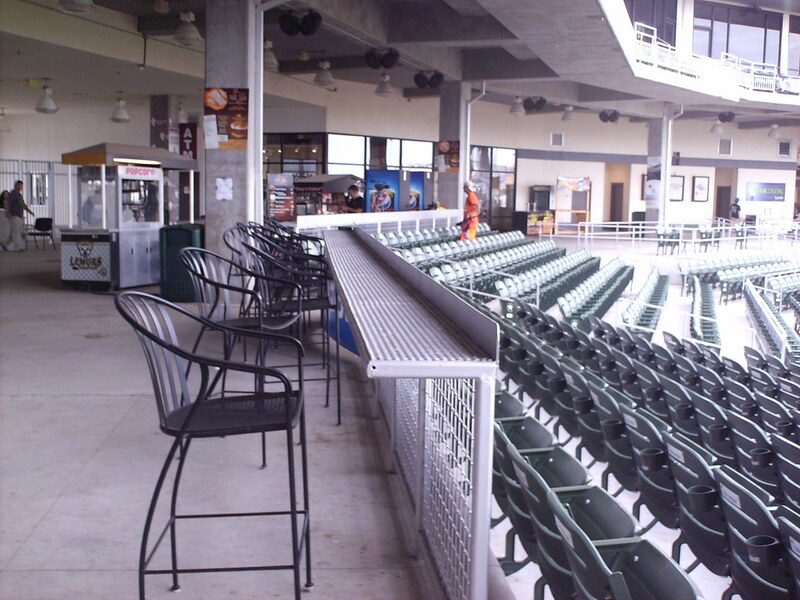 Drink rails and stool seating run along the concourse at the top of the seating bowl. 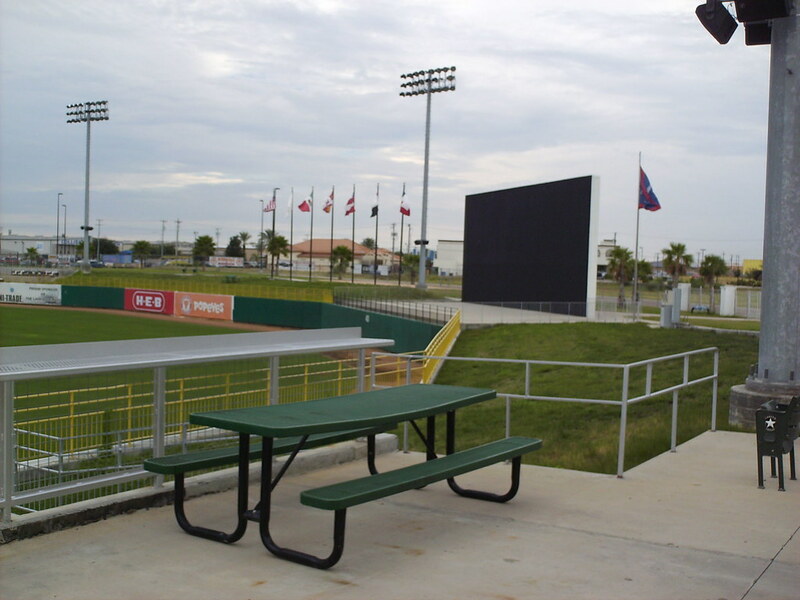 Picnic tables sit down the firs base line, both at the top and bottom of the seating bowl. 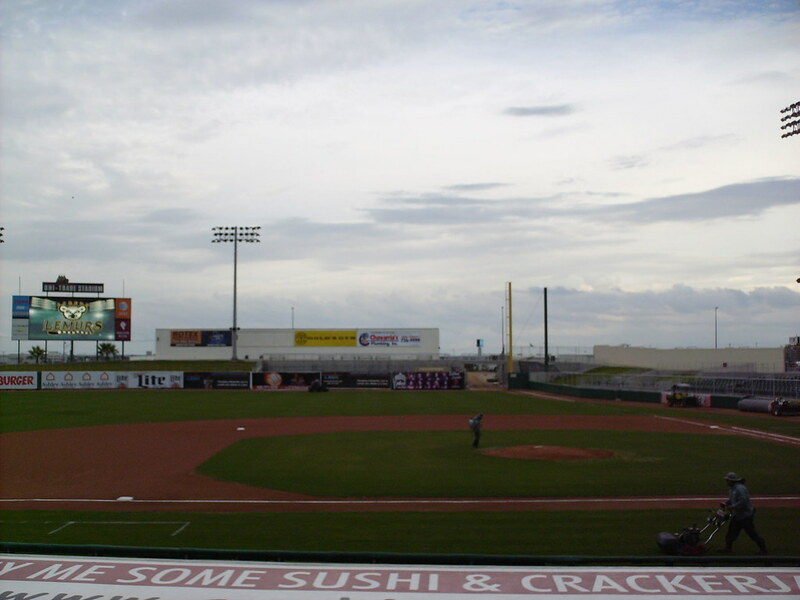 Picnic tables also sit behind the right field fence, and grass berms sit on either side of the center field batter's eye. 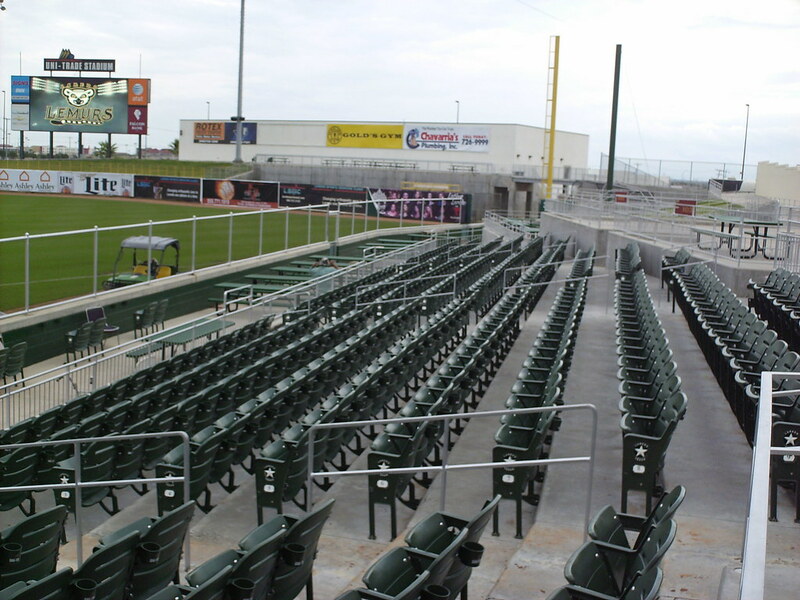 A multi-tiered picnic deck and lounge sits behind the left field wall, and features patio furniture and a children's play area. 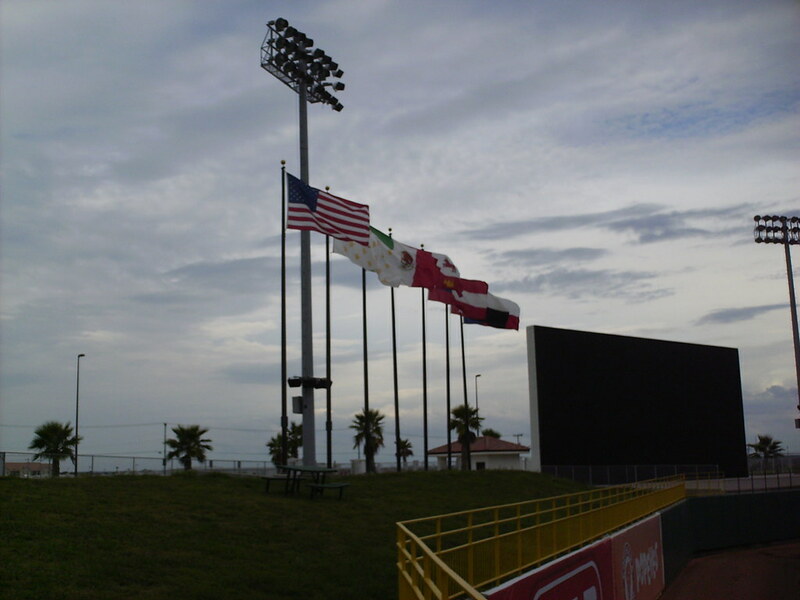 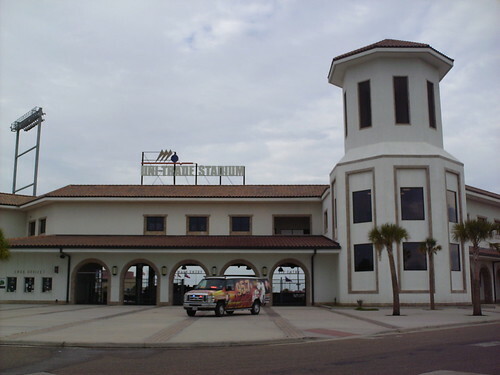 Uni-Trade Stadium sits just a few miles from the Mexican border and the park features flags from the US, Mexico, Texas and Tamaulipas. 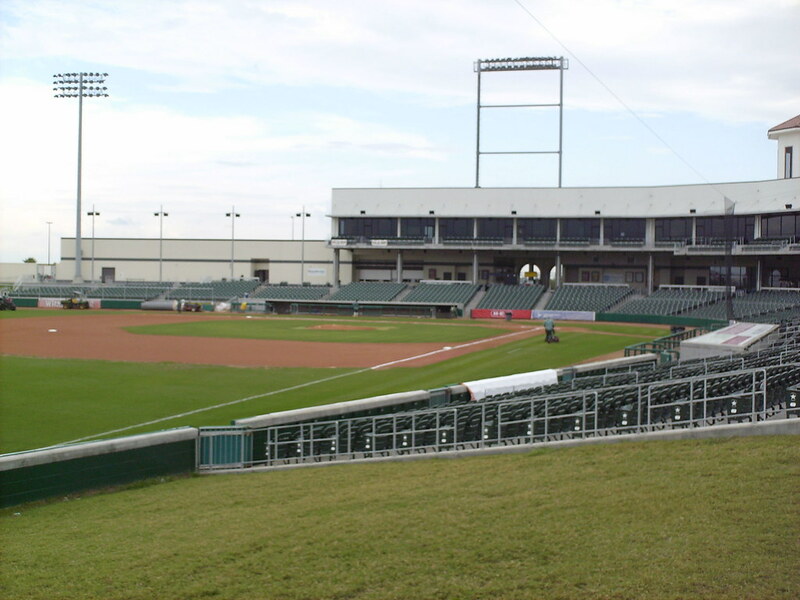 The grandstand wraps back around at the ends to face home plate, leading to much more foul territory along the infield than in the outfield. 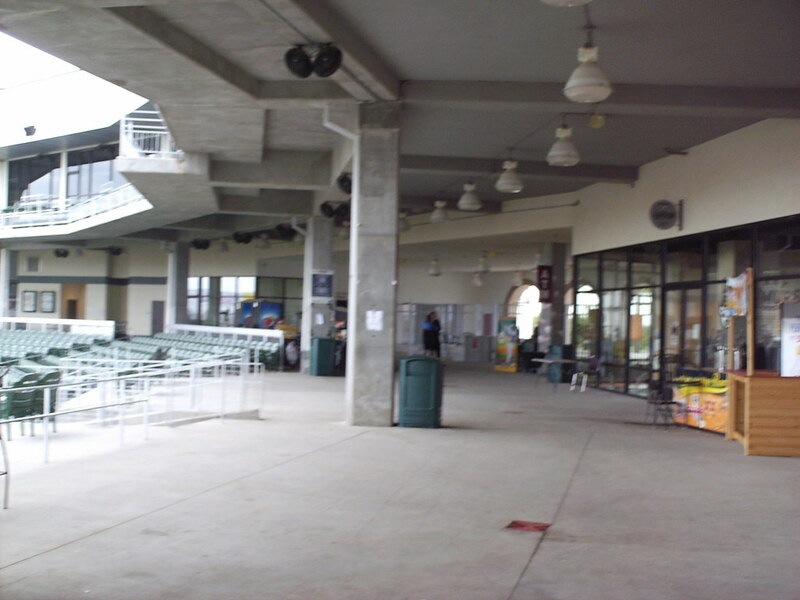 The concourse and souvenir store at Uni-Trade Stadium. 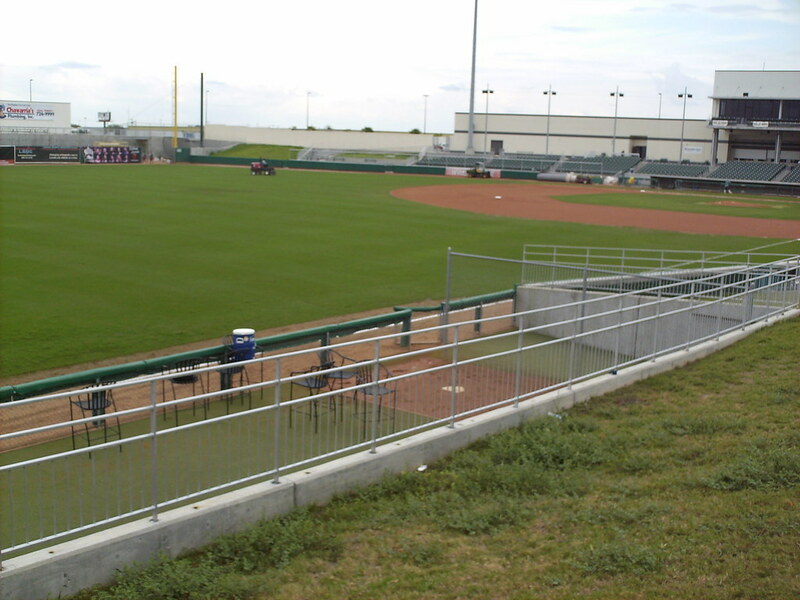 The visitor's bullpen sits at the third base end of the grandstand, cut into the grass berm. 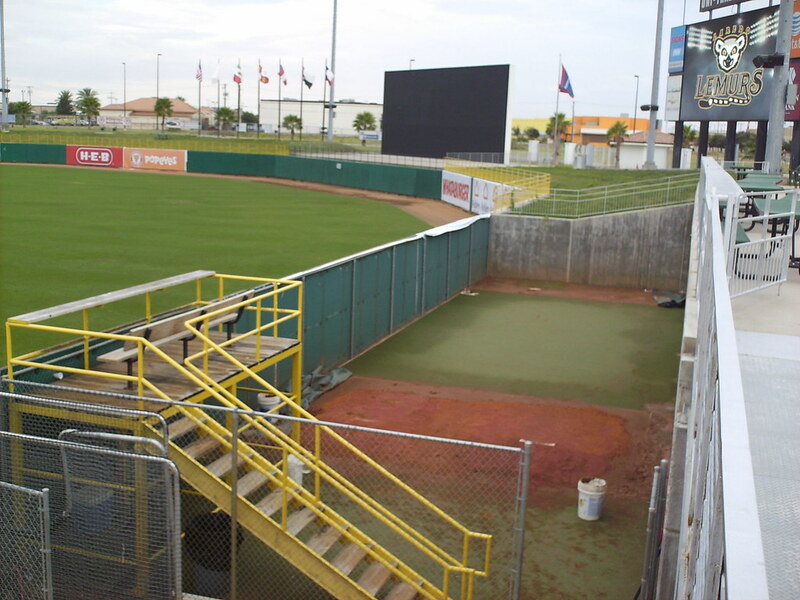 The home bullpen sits behind the right field wall, and features an elevated perch so pitchers can watch the game from atop the wall. 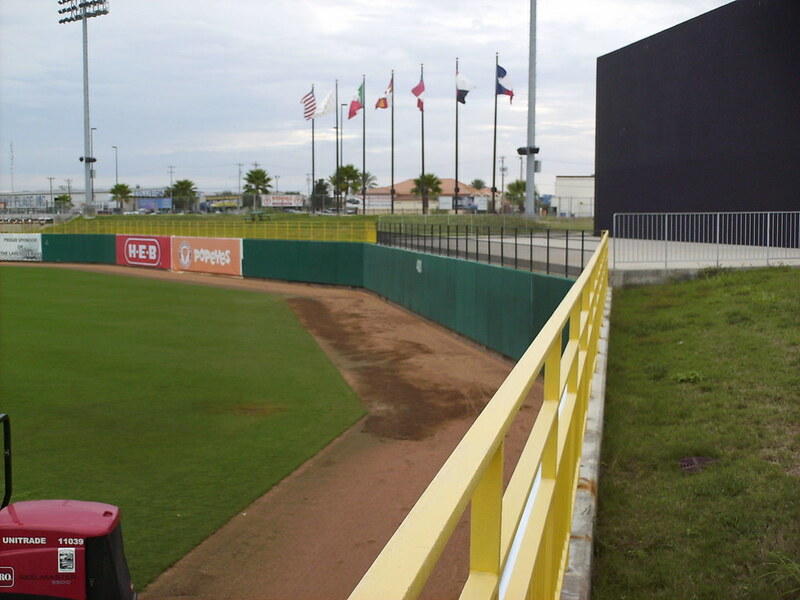 The outfield wall makes a sharp corner on either side of the batter's eye in center field. 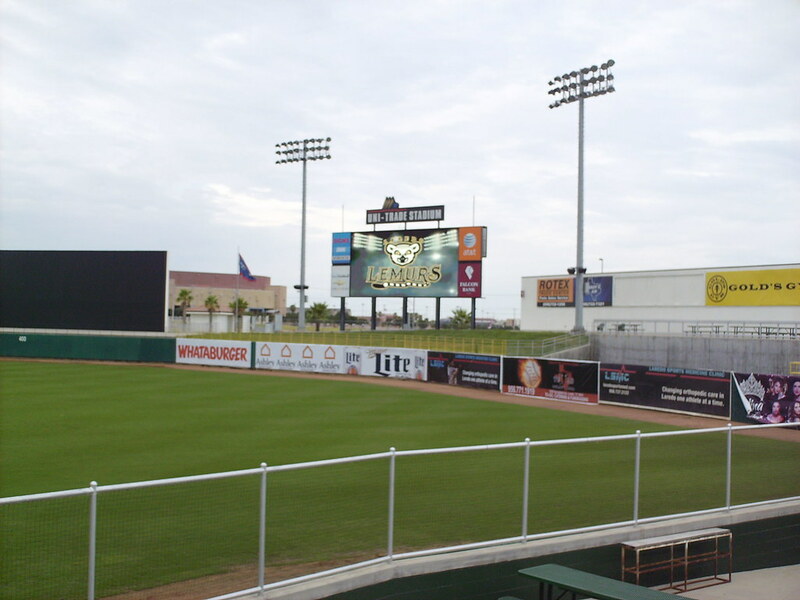 The scoreboard sits above the berm in right field. 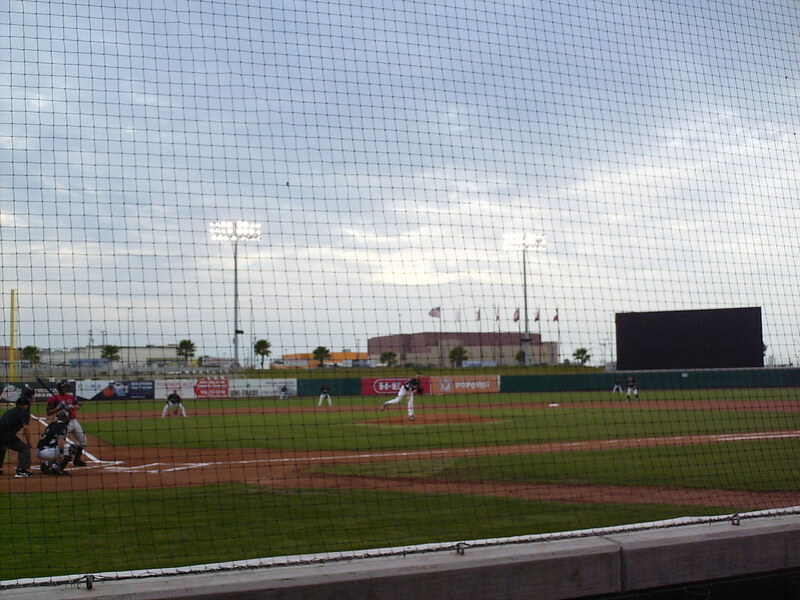 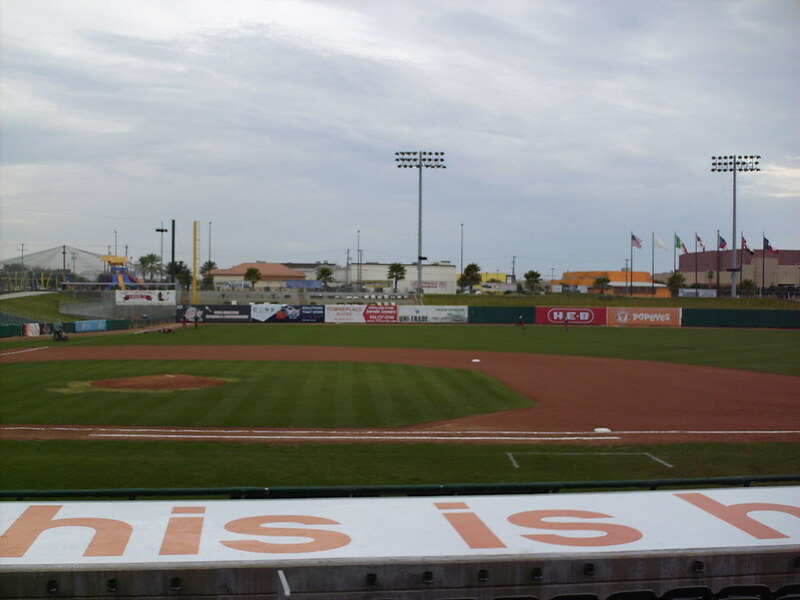 The Laredo Lemurs on the field during a game at Uni-Trade Stadium.